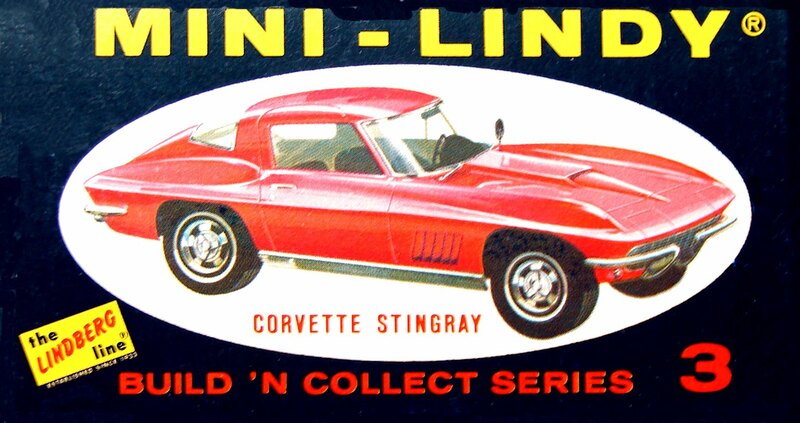 For Christmas of 1968, I got not one, but two brands of tiny 1:64 toy vehicles. Hot Wheels were new and so I found 2 of those underneath the tree, a Deora and a Custom Eldorado with that oh, so satiny smooth black top. But another brand also debuted that year. 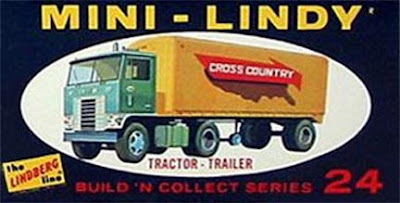 The Lindberg Line, which had been making model kits of cars, trucks, airplanes, and the like for several years, introduced a new line to compete with Matchbox and especially Mattel's new cars. They called these realistic little vehicles Mini-Lindys. 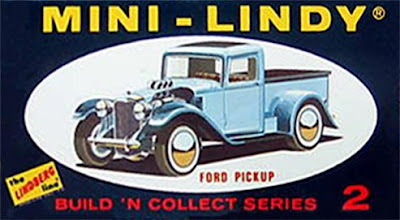 Mini-Lindys came in a tiny, black box and were basically plastic model kits, roughly the size of Hot Wheels and Matchbox cars which snapped together and were fastened with two screws in the base. They had rubber tires and metal axles and weights that could be added to give them a little more "heft." 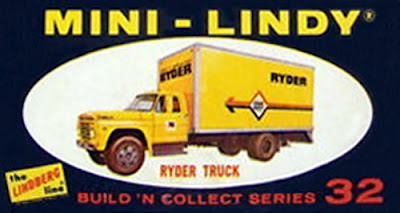 It appears that they released 32 different models overall, (with eight additional models appearing after the Mini-Lindy name was no longer being used), of which the black moving van pictured above was one. It was called a "Ryder Truck," and was based upon a Ford truck cab and running gear. I painted mine black, but it came molded in bright yellow plastic, to match the Ryder corporate colors. 31. Oldsmobile Vista Cruiser Station Wagon. 32. Ford F-Series Oil Truck. 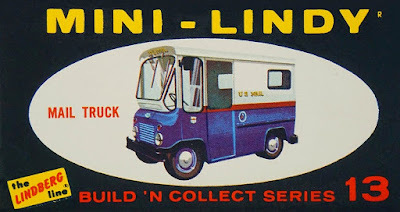 A follower to this blog has shown me pictures of additional vehicles in this same scale, and they do in fact have the Lindberg Line logo on the base. 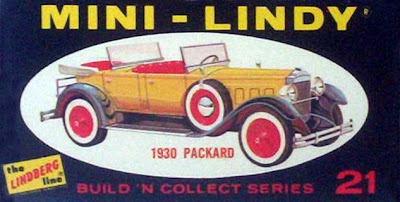 At least one of these cars is made by Lindberg for it calls it a "Buick Century," with the number of "#367." 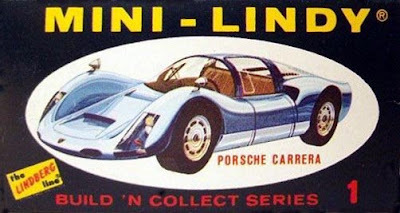 So, maybe the Lindberg Line released further additions to their "Super Sport" series. 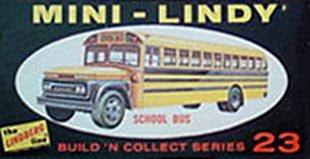 The Lindberg Line corporate name was bought out by "J. Lloyd International," and they continue to release several of the old Lindberg models to this day. 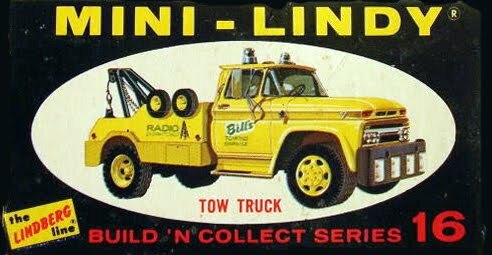 I failed to find any of the Mini-Lindy-sized vehicles still being sold by them, but I sent a request asking them if they acquired these Mini-Lindy models. Maybe they'll be able to fill me in on the whereabouts of the molds to this series, if there are any plans to re-release them or if the molds are lost to time. I'll stay on top of this, so stay tuned. 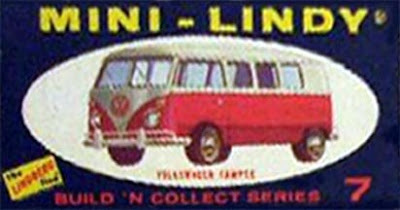 On further research, I've found a few of the original Mini-Lindy models re-released under the series name "Hi-Rollers." I have seen the No. 8 Chevy Van, No. 11 Dump Truck, No. 14 Cement Mixer and No. 24 Tractor Trailer released as part of this series. The two on the right side of the picture, the Corvette and Camaro, do appear to be Mini-Lindy's. Lindberg did make both those models in their regular line. 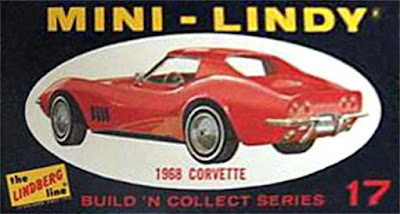 But, the two on the left, the older Corvette and what looks like a 1969 Chevrolet Chevelle don't seem to be models Lindberg made. There could have possibly been a second wave of the "Super Sport" series and I suppose it's possible the two on the left could be from that series. You've got me curious now, so I'll have to dig for further research. It's a Buick Century the Red one on the left, I know I am selling one now. How rare is this car? I didn't get much for my Buick Century, it was all yellow. I thought by reading everywhere it was very rare and sought after, I think I ended up letting my go for ten bucks after a few months of listing it for sale. Good luck. Maybe none of them are from Lindberg. 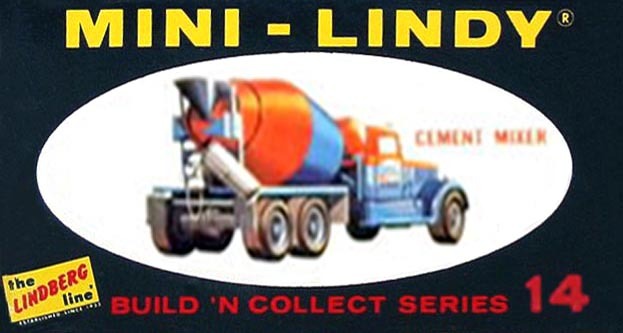 It seems to me that on the Mini-Lindy models, there's the Lindberg rectangular logo on the base. So, these must be from some other manufacturer. They're beauties, whoever made them. I would think South America first. They do put out some good stuff. 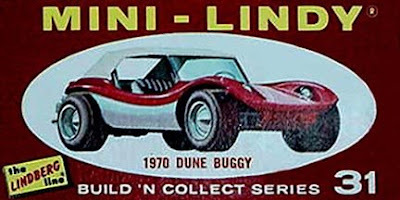 Here is a link to the bottom of the vehicle, Model Kit No. 367 Buick Century. The square "The Lindberg Line" is on the bottom hard to see, I am going to take a new photo. 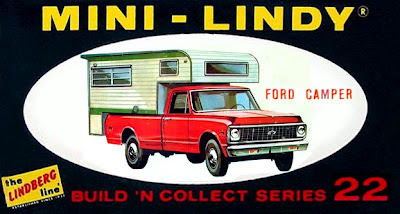 This appears to be a model from the mid-1970's, so obviously, Lindberg was still making 1:64 scale vehicles under some name. I remember buying a 1:32 scale 1974 Chevrolet Monte Carlo model by the Lindberg Line around 1975, but never remember seeing anything in a smaller scale on the shelves where I shopped. These later models are intriguing, so I'll have to get to the bottom of this mystery. Thanks for providing these images! Don't forget the 1971 (boat tail) Buick Riviera, Model D-233. 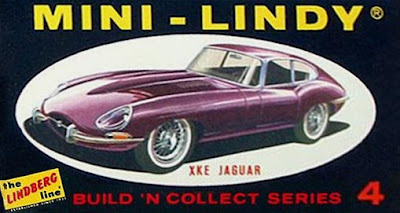 It was part of the Super Sport Series. 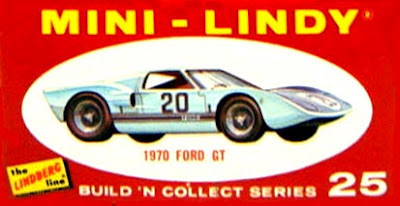 The box said 1972 on it, but it was actually a 1971 model (with the GM vents in the trunk lid that were on many 1971 GM models). none of these are (1/64th) scale (3/16th" to a foot) these are "Pocket size" Scale is specific, size is not. 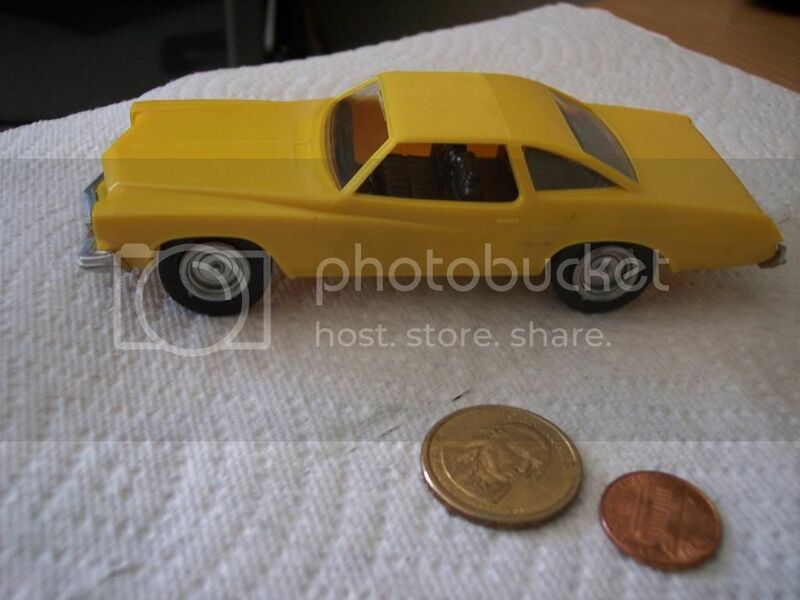 I HATE all the people that call hotwheels Matchbox & lidberg size vehicles 1/64th, most are NOT. Can you give me any info on the Ford GT model? I have one and its not put together. All the parts seem to be there with the stickers as well. Thanks. Lyfe Journey, I don't really have any further information on these Lindy's, or this Ford GT model in particular. I never had that one, so I'm not familiar with it. 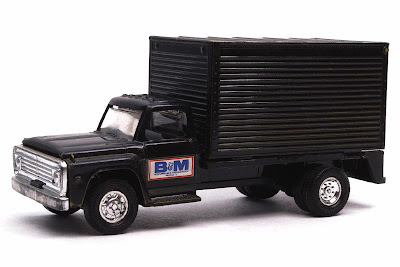 I did read somewhere that the molds are still owned by a company that puts out models, so maybe someday they'll be reissued. These take me back. 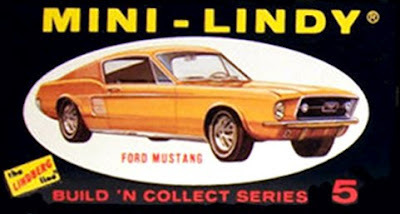 My dad use to take my sister and I to a hobby shop and buy us each one Mini-Lindy twice a month. 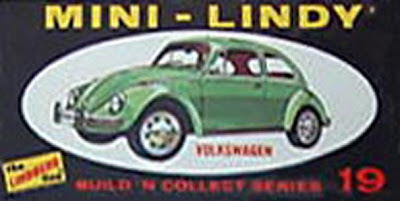 The were my first model kits. I just found my Lindberg line - Mustang No-5 & Ford Pick-up No-2, how much would these be worth? I don't really know what they'd be worth. I have never found a website devoted to these models. As far as I've found on the internet, my article here is the most comprehensive and I wouldn't even begin to guess at what they're worth these days. I've always liked that custom Ford truck No. 2. If you're wanting to sell it, what would you want for it - I'd be interested in that one because I always wanted one. Is it put together or painted, or unassembled in good condition or what? Great information! This is the first time I have seen these & could not find info in my reference books. I just put 3 of these on ebay, Gremlin, Continental Mark III, Riviera. My Ebay name: Rockn4Rods. Thanks! Hello, i have a kit N°367 Buick Century hope at Stock car 500 serie. Car is black. Anyone can help me to estim the price of this car ? 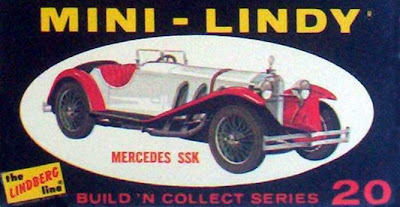 Car without box. Is the Vega a rare car or worth more than the School Bus or #22 Camper? Those seem to go for about $!0 boxed on the Bay and lower unboxed or played with. I haven't found even a picture of the Vega anywhere and there hasn't been one on Ebay as far back as they let you search. I'm not sure about the Vega. It would be my guess that since it was one of the last ones made and released, they might be a little more rare than the original group. Other than that, I don't know anything about the Vega. Thanks, it went to the big auction site...We will see what happens. Boy this brings me back. I swear I got these either in a box of cereal, or a send away from a box of cereal, I believe the latter. I got the garage definitely in the mail. These were definitely premiums as I never saw them in the stores. I got them in 1969. We were temporarily living in a nice, but boring, townhouse waiting for our home to be built. Man, that was one long winter. 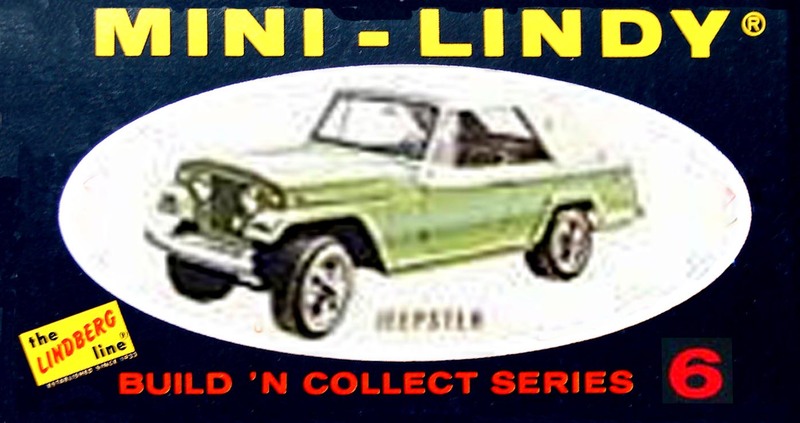 I got two of them, the Jeepster in yellow and I cannot remember the other one at all. I can remember the white with red stripes garage with the door that opened. I had great fun driving the cars around and parking in that garage. The all disappeared. That cereal box is cool! I don't remember that offer. 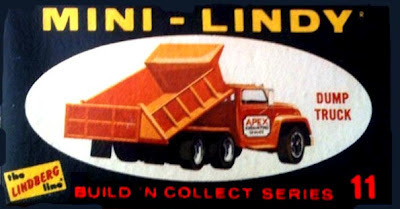 But I do remember some kind of cars coming in a box of Alpha-bits around 1970. 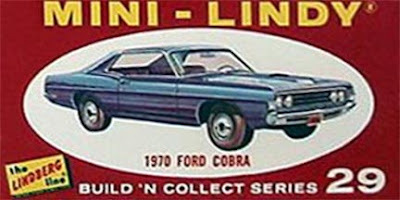 All I remember is opening the cereal one Saturday morning and getting the car (s?) out before having to drive to the big city of Phoenix, Arizona.